This is an amazing wine. 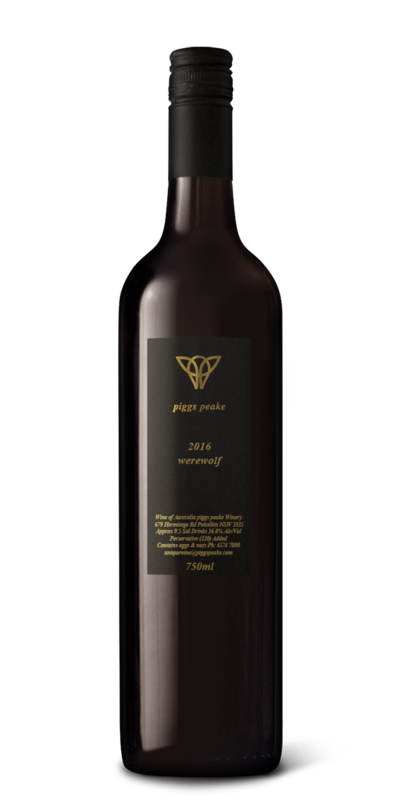 To make it we need almost a celestial event as a standout vintage is required in both Orange and McLaren Vale in order to give us the required ingredients to do the blend. The Zinfandel comes from the famous Cargo Road Vineyard in Orange. James Sweetapple our viticulturist is an expert at coaxing Zinfandel to ripeness in the cool climate of Orange. Its a tricky grape to grow. It cant be broad acre farmed, it has to be “hand reared”. Anyhow, James has studied the variety for nearly 20 years now and learnt its tricks and peculiarities. The key to the style we produce is the drying of the grapes. In Italy they refer to it as amarone. Basically, we dont pick the grapes until about 20% of them have shrivelled. These raisins add lusciousness to the wine giving it richness and complexity. The thing with Zinfandel is that it can be a bit of a fruit bomb. So, blending it with a black, nasty McLaren Vale Shiraz adds colour to the wine and tannin structure. It dries out the palate a bit and makes the wine a bit more “grown up”. Similarly, we have discovered trace amounts of Mataro in the blend puts the sparkle on the wine to finish.